First off, apologies for the French(?) subtitles. I hope they don’t distract too much (if they do, simply watch this teaser over and over again. It’s bloody brilliant). David Cronenberg’s latest film, Cosmopolis, promises to be oneiric, violent and strange. Did you see the giant rat in the teaser? The story follows 28 year old billionaire asset manager, Eric Packer (Robert Pattinson), as he rides across Manhattan in a stretch limo in order to get a haircut. The day devolves into an odyssey with a cast of characters that start to tear his world apart. No, I’m not kidding and yes, you can read this description on the film’s imdb page. Most recently, Cronenberg’s work has been more grounded in reality, whether he’s following a crime family in A History of Violence and Eastern Promises, or questioning the ethics of a therapist-client relationship in A Dangerous Method. Yet here we have Cosmopolis, which looks and sounds more like the deranged, dream-like films that used to define Cronenberg’s work (i.e. Scanners, The Fly, Videodrome, eXistenZ, The Brood, etc). He seems to be returning to form here and I can’t help the feeling that director Gaspar Noe is a major influence. Granted, the opening credits of Enter The Void are my only inference of this connection. My suspicion may be unfounded, but Noe is a similar filmmaker and a pioneer in his own right. I’m thrilled by the prospect of a stylistic fusion between the two directors. On a minor note, for the time being I am going to ignore the fact that Robert Pattinson is playing the lead. There is a lot going on here. On the one hand, we have a genius boy-wonder who, I think, goes to college around the age of 10. Then we have a family dram-edy of a feminist single mother and absentee father/sperm donor. Question number one: whose point of view is this? Is this an adventure told from the perspective of an odd boy, the struggles of adults experiencing a new family dynamic, or is this a handful of both? At first, it appears the boy genius is our protagonist. Then Toni Collette takes over as the lead with Michael Sheen as the romantic, yet antagonistic foil. I don’t know what to expect. “Father.” Great, now let’s kill Michael Sheen with a blizzard of these post it suckers. That aught to get people interested in this film. For those of you wondering, this film is not a remake of the South Korean film by the same title. It is an adaptation of a book, The Host, by author, Stephanie Meyer (Twilight). In this story, Alien beings from another planet have invaded the earth and have begun to take over the bodies and minds of humans. The main character, Melanie Stryder (Saoirse Ronan) has been inhabited by one of the “souls” named Wanderer, but she refuses to fade away. I’m not familiar with the book and this teaser leaves a lot to the imagination. Admittedly, I am not a fan of Stephanie Meyer’s work but this sounds like it could be interesting. In film, there is a rich tradition of the human race being conquered by a covert invasion. Invasion of The Body Snatchers and The Thing both play off this idea of trust and human relations as alien invaders perfectly replicate people. Films of this sort utilize subtleties of gestures, allowing audiences to notice strange behavior and guess at who is still human (good). Again, I have no idea how The Host will play with these concepts. The fact that Andrew Niccol is directing could be an indicator as to what sort of story this could be. He directed Gattaca, a film about a futuristic world where imperfections are looked down upon and our protagonist, played by Ethan Hawk, must hide his weaknesses to reach his goals. It is full of close calls and subtle gestures that indicate deceit. Likewise, he wrote the script for The Truman Show, which follows a man living in a fictional world where everyone is lying to him. Both films make great use of societal norms, slip-ups, and uncertainties to test the protagonist – much to my delight. However, I should note that these films were made in the late 90s. Niccol’s recent work has been less inspiring. In Time and Lord of War are both cookie cutter action flicks with little depth. In any case, I’ll be watching for updates to see what his latest film is all about. This is the story of a terminally ill 15 year old boy who draws stories of an invincible superhero as he deals with his own mortality. It’s part Good Will Hunting and part American Splendor, as it mixes the troubled boy in therapy with the stylistic melding of comics and a normal every day person-turned-superhero. Most notably, however, is Andy Serkis. This is Gollum in the flesh! He’s the man behind CG characters such as Ceasar (the ape) in Rise of The Planet of The Apes and Captain Haddock in The Adventures of Tintin. Here, he’s taking the role of the experienced therapist – ala Robin Williams in Good Will Hunting – and he looks great. I always knew he had acting chops, but his most famous roles tend to be heavily layered with special effects. The story here seems to have an obvious trajectory, but again, Serkis looks to be giving an honest and heartfelt performance that’s worth checking out. 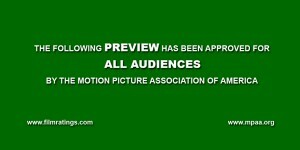 What is with this trend of creating trailers for trailers? I guess I’m cool with it but, there’s no need for the giant text that blatantly tells us what you’re doing. Teasers used to be short, 30 second spots that TEASE audiences with footage of the new film thereby building initial marketing momentum. 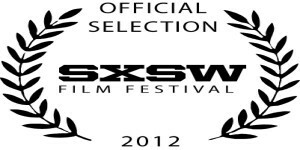 Here, however, we are being told to, “GET READY,” wait for it, “FOR THE WORLD,” wait for it, “TRAILER PREMIERE.” Come on! Is the full trailer going to tells us to, “BUY TICKETS,” and “DRIVE TO THE LOCAL THEATER?” And while we’re on the subject of poor decisions, this remake lost bragging rights when it named Len Wiseman director, the man who killed the Die Hard franchise. Wiseman is famous for nailing Kate Beckinsale, creating the Underworld franchise, and directing some strange movie about a superhuman cop called Live Free Die Hard. Don’t get me wrong, there is a lot of love for Paul Verhoeven’s Total Recall. Plenty of people are excited to delve back into the story of Douglas Quaid/Hauser (made famous by Arnold Schwarzenegger), but I’ll remain skeptical of this one for the time being. The Asylum is the hilarious production company behind this film. They are famous for capitalizing on titles that mimic major productions such as Transmorfers (Transformers) and The Day The Earth Stopped (The Day The Earth Stood Still). This rip off promises to have more value than it’s counterpart, Battleship. Stay tuned for the drinking game.